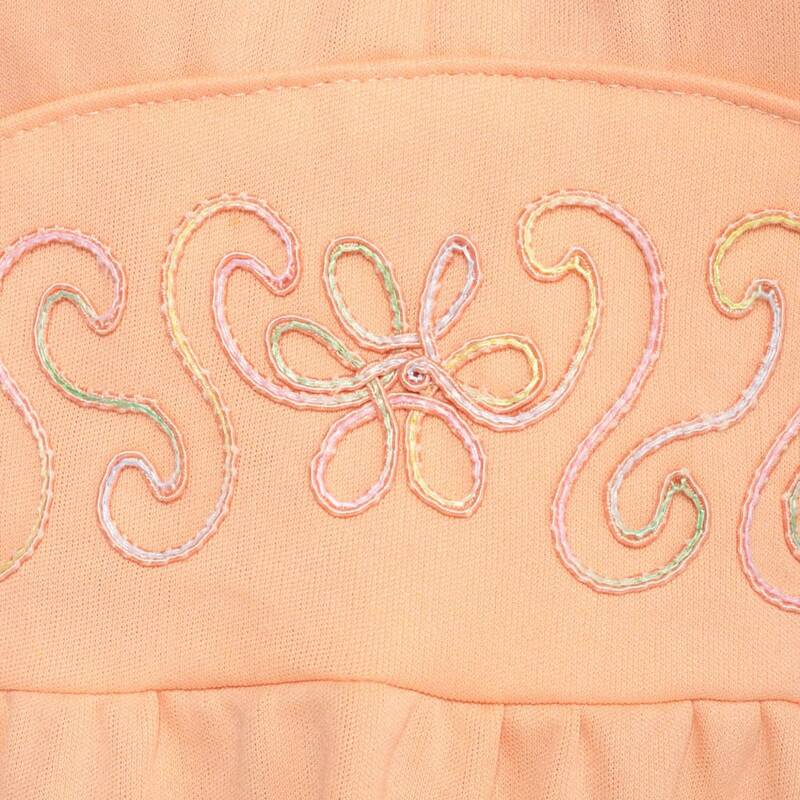 Vintage 70s dress in peach with a choker keyhole neck, and soutache floral trim on the waist. Mini length. Condition: Very good vintage. Has a few tiny faint spots throughout that should come out with cleaning.